At Closed Sundays we love a challenge. 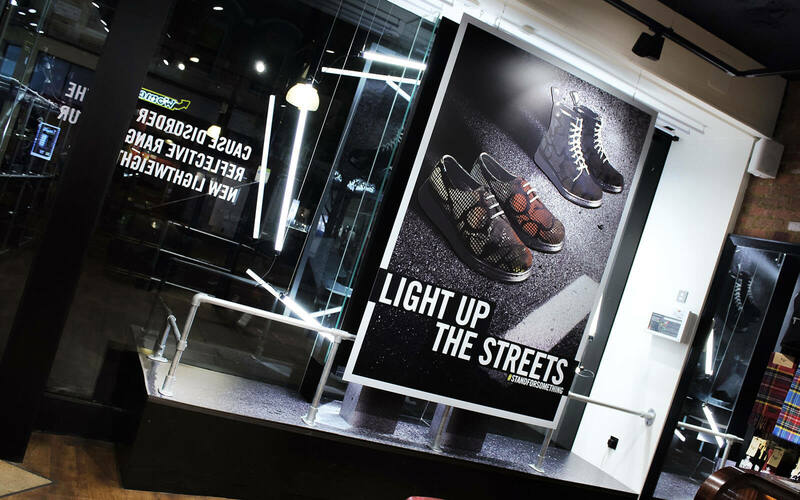 So when Dr. Martens approached us with a window campaign that they needed to implement within a week, we accepted and set to work. 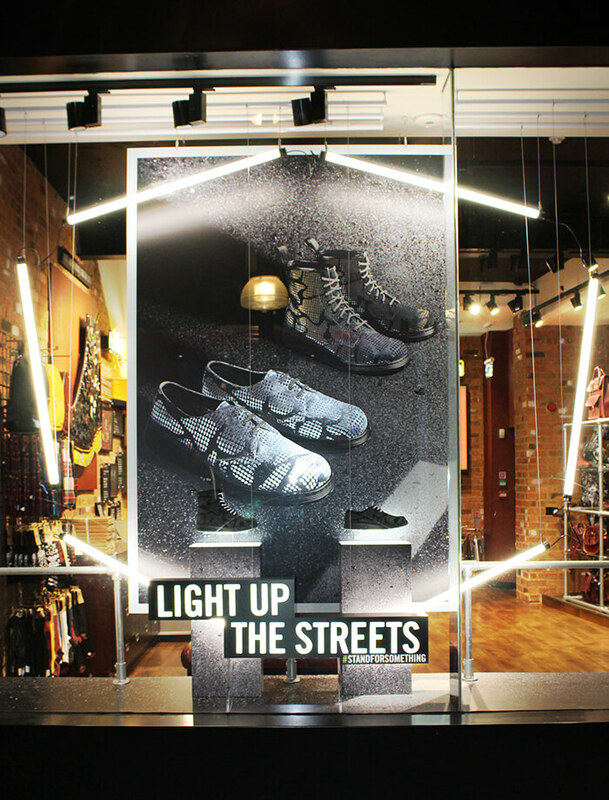 The window was to launch a new range of reflective boots and shoes, with Dr. Marten’s new lightweight soles. 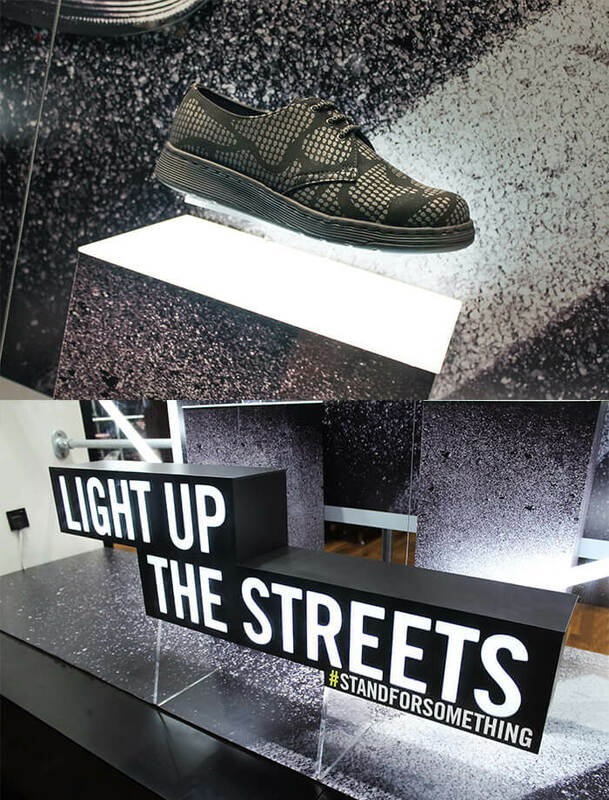 To communicate this, we hung 6 LED strip lights in a halo around two banners with reflective faces – to mimic the shoes. The shoes themselves were displayed floating above illuminated podiums. 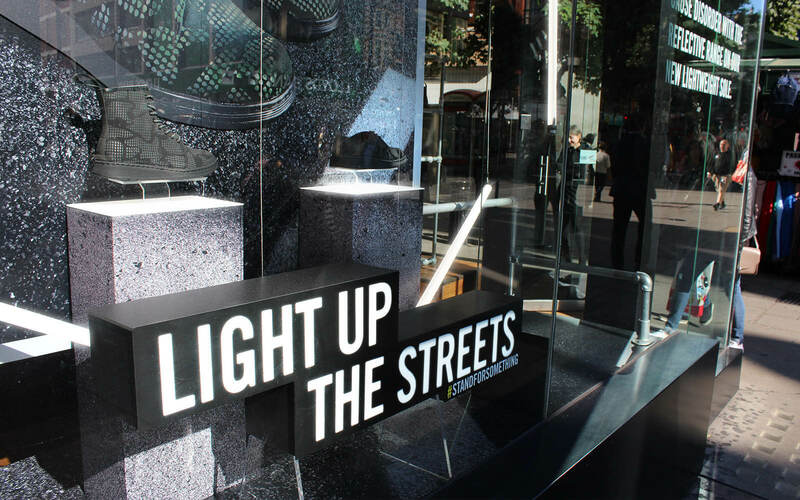 The finishing touch, the campaign line illuminated at the front of the window. 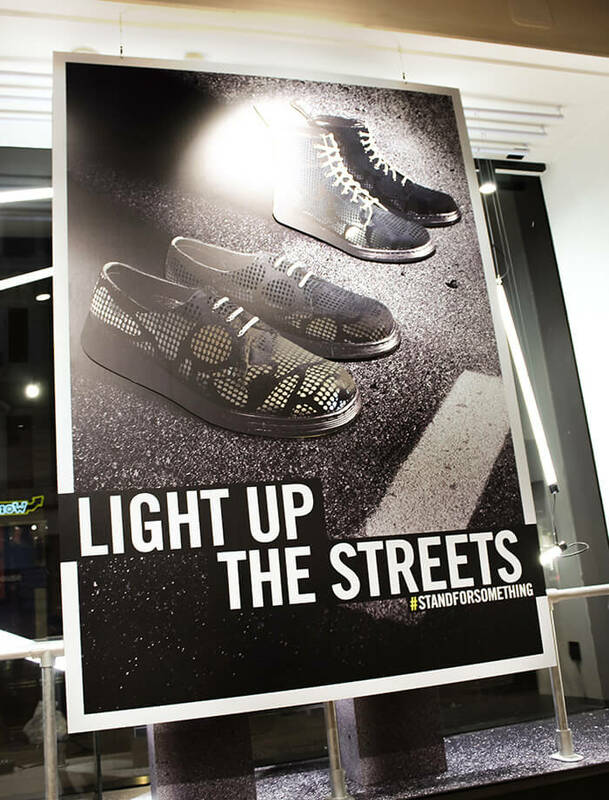 Light Up The Streets.